These were the last words I wanted to hear. 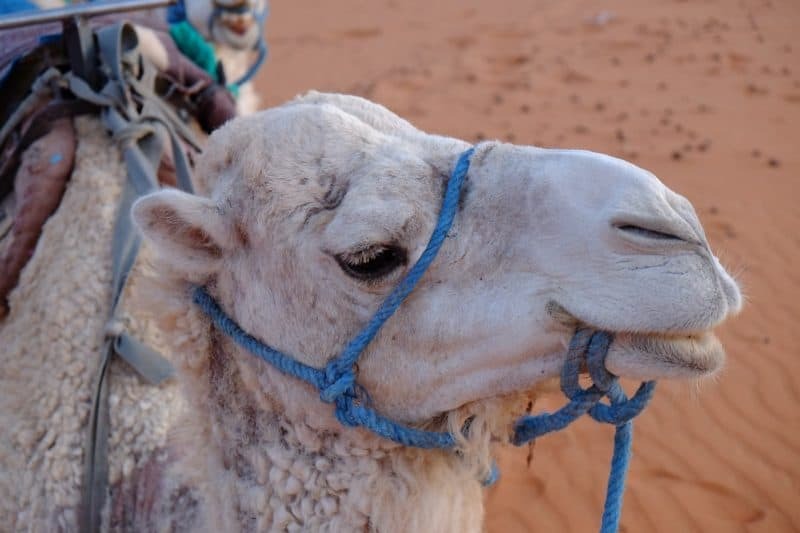 I’d just dismounted my camel, whose name escapes me right now, after a torturous ride from Merzouga on the edge of the Sahara to our Bedouin camp. Apparently the ride only took one hour but it felt like ten. And now there were upwards of sixty overexcited tourists frolicking around the dunes with their cameras out. My stomach had felt a bit shifty at breakfast and had been getting worse all day. The last pitstop had been a squat toilet round the back of a shop. Although I generally have confidence in my squatting abilities (all that yoga is paying off), on this occasion I couldn’t go for fear of not be able to stop. Plus there was a weird guy in the shop who kept trying to hug me. I just wanted to get out of there. By the time we reached Camel HQ I was regretting that decision. No toilets at Camel HQ, and I was feeling 8/10 sick. 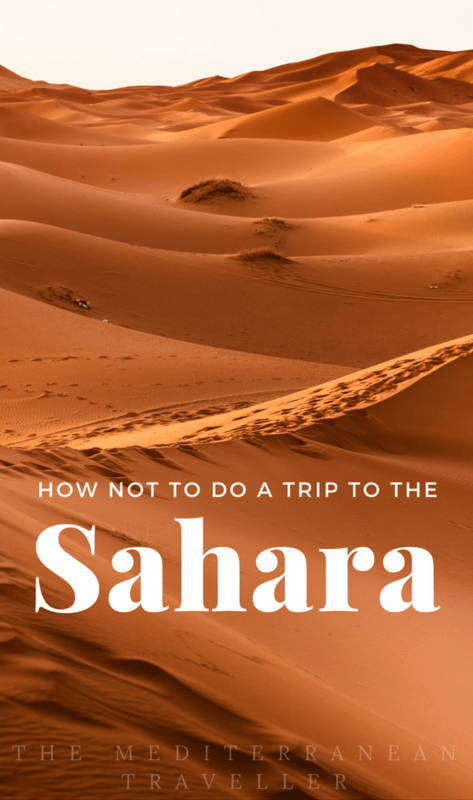 But we’d driven for two days to reach the famous sand dunes of Erg Chebbi and were so close. They’re not lying when they say that camels are uncomfortable. It’s not like riding a horse, more like a playground springer with a really long spring. There’s a good reason you don’t see the guides on camels. I was holding on for dear life in more than one sense. A camel ride with severe stomach cramps, dizziness and nausea is something I really hope you never have to experience. 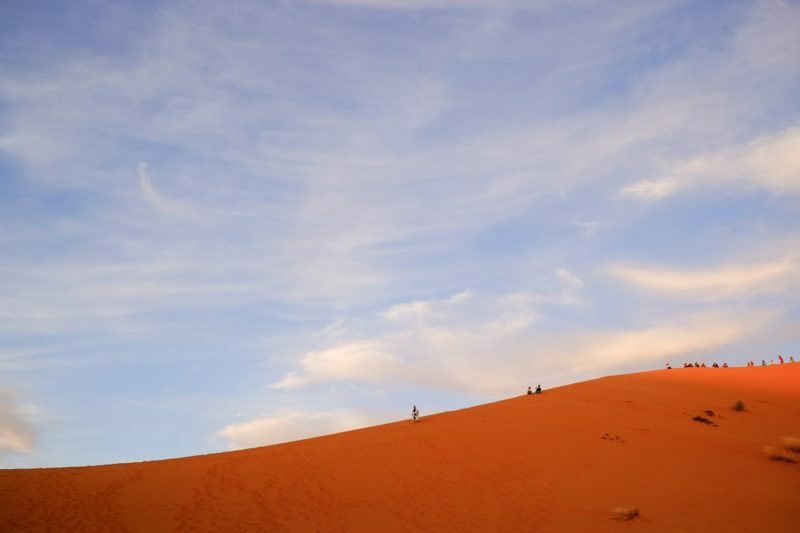 The internet has been awash with gorgeous photographs of the Sahara this year. So beautiful, such good value, such photogenic light! 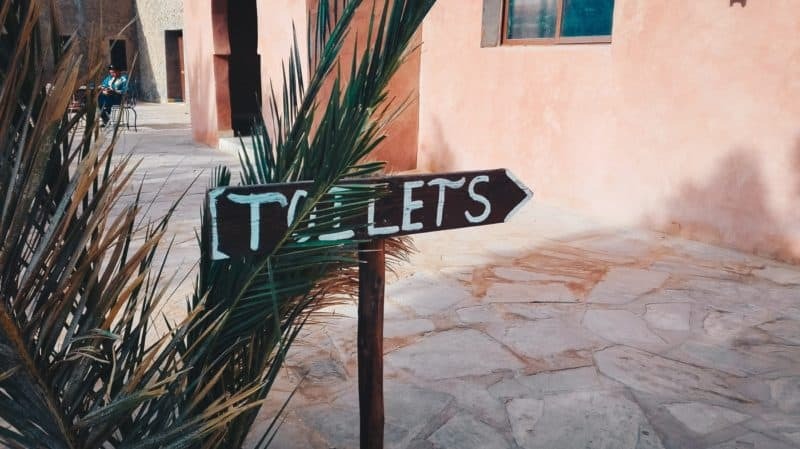 It was to be the highlight of my trip to Morocco. I was looking forward to editing the photos before I even got there. Our guide beckoned me into his tent and handed me some cumin, a local remedy for upset stomachs. I dabbed some on my tongue whilst he cooked and talked about wanting a European wife (a common conversation topic here, even amongst those who are already married). This combination did the trick pretty quickly, and I darted out of the tent to find a suitable place to vomit. Whilst the rest of my group bounded up the dunes for their once-in-a-lifetime photo ops, I crawled underneath a blanket and passed out. Two days’ drive and I managed to take one photograph from my sick bed. One photo. At least it was a sick bed with a view. I missed the sunset. I slept through dinner. But it was blissfully quiet when I woke in the middle of the night to a huge moon. The only peep was the sound of the universe laughing at me. 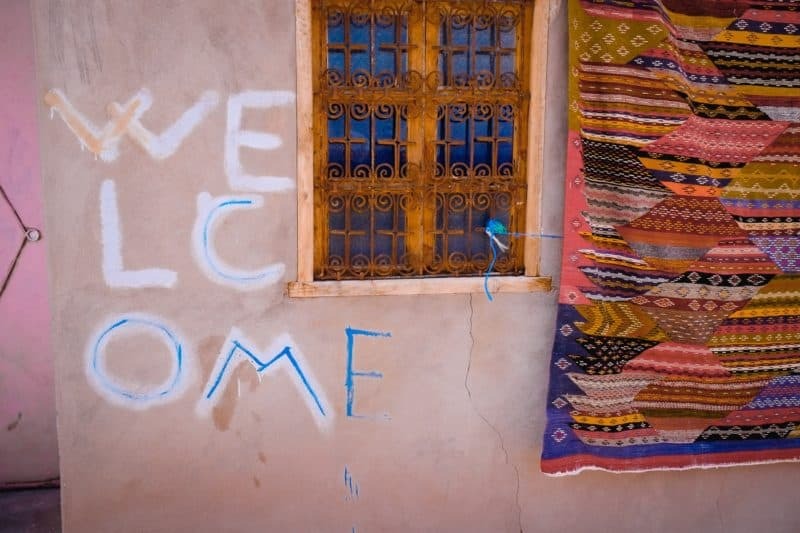 The happiest moment of my whole Morocco trip. Admittedly it could have been a lot worse. A lot. The camel survived the encounter unscathed, although it was a close call. I was the only person in our group to get sick and everyone else had a great time. Got a good food poisoning story? Commiserate with me in the comments below. Is There An Ethical Problem with Using Airbnb?